Subscribe today to start receiving our Weekly Email Newsletters about upcoming Aviation Events, Great Places to Fly and Videos! 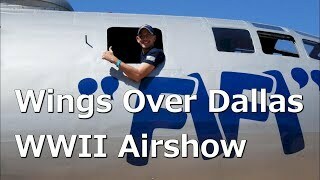 We attended the Commemorative Air Force (CAF) World War II Air Expo - Dallas Executive Airport, Dallas, Texas this past Saturday and had a great time! What a wide array of Fighters, Bombers and Military vehicles on display! AND the CAF will soon be headquartered at Dallas Executive Airport, Dallas, Texas. 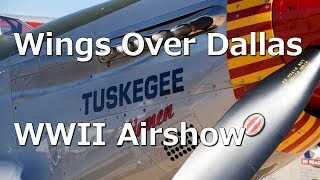 Only display - B-29, B-17, B-24, B-25, P-51, HellDiver and many more! We had the privilege to see Diamond Lil up close and personal while she is down, receiving some TLC. What a beauty! 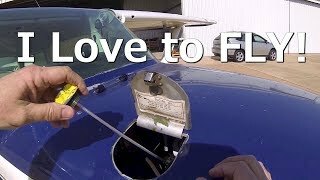 In this episode, Gary has removed the engine to fix a small oil leak, and discovers broken engine mounts on the Stinson SR-7 Project. 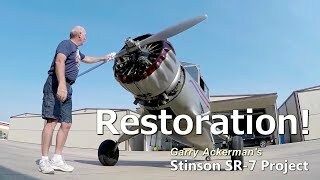 He also shows us his other Stinson SR-7B project, which will be a full restoration. 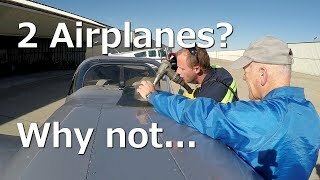 Here's some more Antique Aircraft eye candy! An incredible array of beautiful Antique Aircraft! Fly-bys and Displays! Fun for everyone! 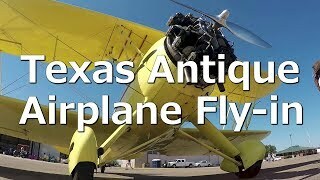 We attended the Annual Antique Airplane Fly-in in Gainesville, Texas and had a great time visiting with those folks and walking around these gorgeous birds.